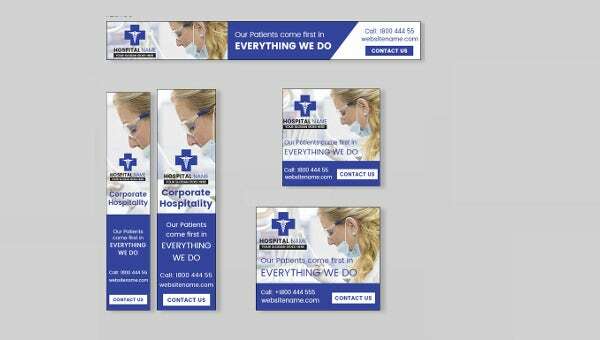 Our website has the best range of 5 Standard Ad banners that can be of great use to the ones who want to promote their clinic, hospitals or other such medical institutions on websites. 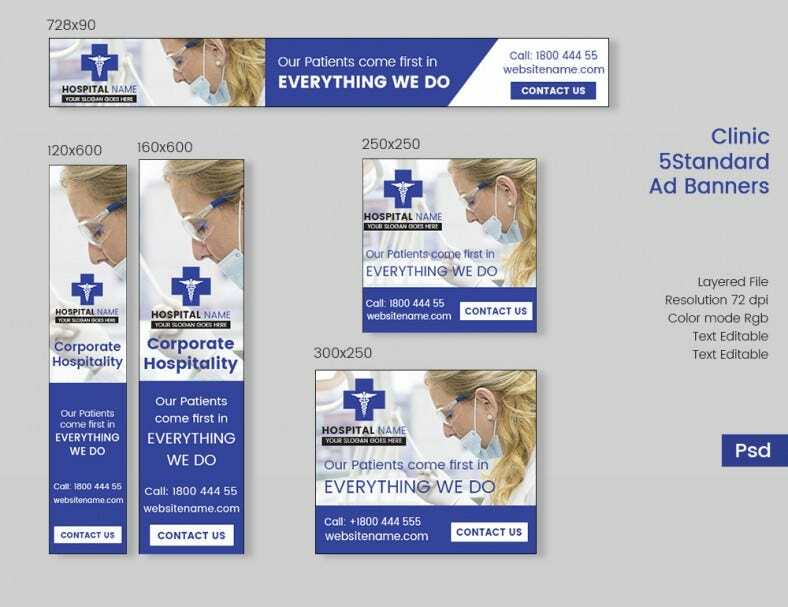 These 5 standard ad Banners come in handy while preparing for creative banners for advertisements. They are present in high resolution and are editable too. They are customized according to you to suit you have perfect graphics and images that would add a different colour and attract the viewers. These ad banners are present on our website as samples and can be downloaded as well as printed in PDF and PSD formats.